This site is dedicated to the worshipers of the ancient god Baal. It seems that most first-time visitors to this site are seeking evil, as to some people, Baal is synonymous with Beelzebub, commonly referred to as the Lord of the Flies or as the Devil. The Pope announced a couple of years ago that Satan doesn't exist -- according to him, Hell is the absence of God. If atheists are correct in not believing in God, then through this Papal decree, Hell does indeed exist. Being agnostic, I don't (and can't) really know one way or the other. Regardless, evil does not reside on this site, and all of this squabbling misses the point of what Baal.com is all about. To the hundreds of thousands of these worshipers from several different cultures, Baal was considered to be the opposite of an evil deity. Baal was their god of fertility, life and prosperity. To many, Baal was your regular run-of-the-mill supreme deity just like most of the others whose names have not been forgotten: Horus, Jehovah, Zeus and Jupiter. Baal was the type of god before whom most people would be proud to prostrate themselves. Sociopolitical influences of neighboring cultures eventually destroyed not only the worship and worshipers of Baal, but also his reputation. The pop-cultural take on Baal has debased the deity from the Ruler of the Universe to one nasty and rude little devil. In the realm of ancient gods, divine survival of the fittest enabled groups of worshipers to prosper over others. Baal was one of the unfit -- he has now been all but forgotten. Many of his worshipers were destroyed in a manner that makes the worst recent massacres pale in comparison, from the Holocaust to the Khmer Rouge obliteration of Cambodia (well, who am I to judge. In retrospect, what's happened this century is probably the worst ever -- all the more reason for change.). But such is history. If ancient Rome had not annihilated Carthage, the great bastion of Baal worship during the Third Punic War, the name Baal quite likely would be better recognized today. From prehistory to today, there have been countless occurrences of genocide along similar ideological or theological lines where millions have died for not pledging allegiance to the appropriate deity or pantheon of deities. Baal is just one of hundreds of known gods that enabled priest-kings to exert control over societies solely because of the very belief in their existence. Social stability was the usual result, but at a great cost. 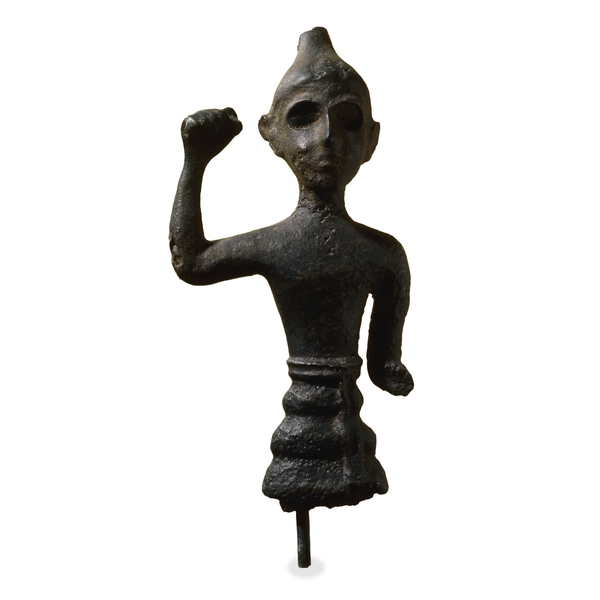 This Web site is dedicated to Baal as a symbol of all of the individuals and peoples who have been smitten from existence through inter-tribal conflict. Six thousand years of recorded history detail countless occurrences of genocide and war, where finite resources have been used to destroy instead of to build. As we celebrate the dawn of the Third Millennium in the Information Age, it is about time that we learn from the past. The Information Age's most powerful tool is the Internet which can enable the dissemination of knowledge about such an obscure ancient deity as Baal to all who are interested, just like you, dear reader. In order to progress, or at least define what progress actually is, we need to learn about each other from both the past and present. Anthropology, the study of humankind, should be as ubiquitous as arithmetic on worldwide school curriculum. By understanding other cultures and viewpoints, we will begin to comprehend how important cooperation and compromise are to fostering peace and prosperity. Soon, perhaps, individuals will respect each other more than they respect the ideologies of their tribal sociopolitical and theological leaders. Then the destruction will cease, and the building will begin. For every dollar spent on a schoolchild in the world, there are twenty spent on a soldier (1). What type of wonderful world would it be if the reverse were true? The worship of Baal has ceased. But the memory of Baal must live again lest history continue to repeat itself. We must never forget the sweat and blood that has been shed. By browsing the through the Domain of Baal, I trust that the curious will become more aware of their fragile, and perhaps insignificant, place in history.